Dengue virus (DENV) is a mosquito-borne virus belonging to the Flaviviridae family. There are 4 serotypes of DENV that cause human disease through transmission by mosquito vectors. 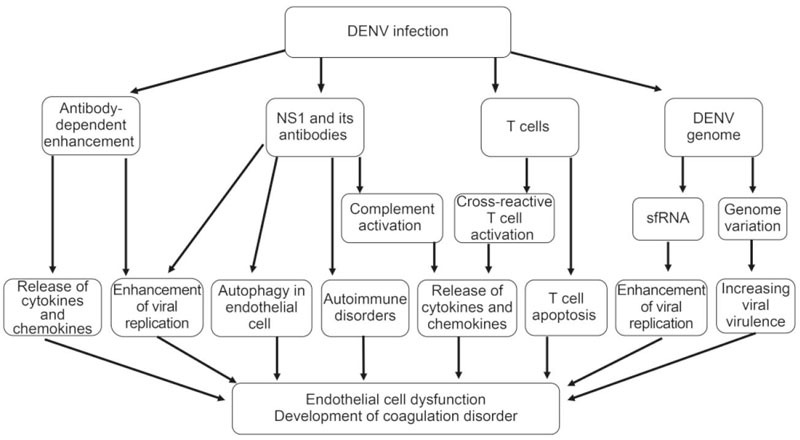 DENV infection results in a broad spectrum of clinical symptoms, ranging from mild fever to dengue hemorrhagic fever (DHF), the latter of which can progress to dengue shock syndrome (DSS) and death. Researchers have made unremitting efforts over the last half-century to understand DHF pathogenesis. DHF is probably caused by multiple factors, such as virus-specific antibodies, viral antigens and host immune responses. 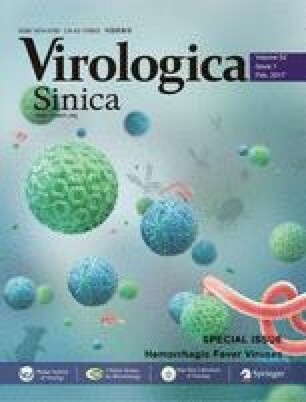 This review summarizes the current progress of studies on DHF pathogenesis, which may provide important information for achieving effective control of dengue in the future. The authors declare that they have no conflict of interests. This article does not contain any studies with human or animal subjects performed by any of the authors.